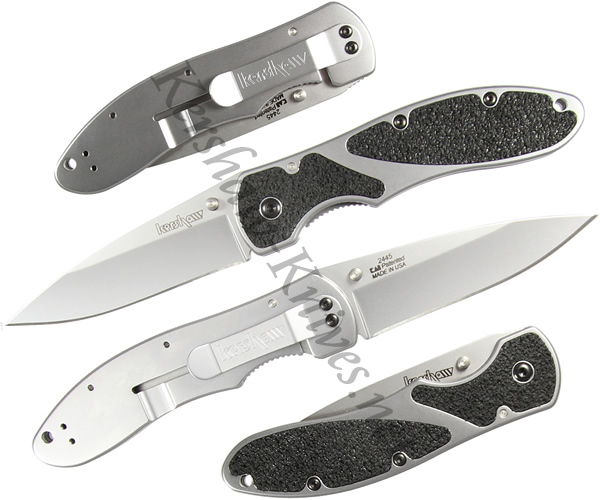 The Kershaw Salvo 2445 has Trac-Tech inserts on the front (non-clip) sideof the handle for non-slip gripping. The back of the 410 stainless steel handle is left bare to allow you to easily slip it in and out of your pocket with ease. The three inch blade is Sandvik 14C28N steel and features dual thumb studs for smooth, one-handed opening that is convenient for both left and right handed users. The Kershaw Salvo is MADE IN THE USA.